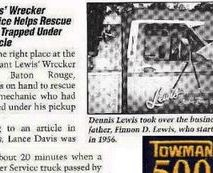 Lewis’ Wrecker Service, Inc., has been ranked 162nd on the Towman 500 “Most Experienced Towmen in America.” Compiled by American Towman Magazine, the towing industry’s premier trade publication, the Towman 500 is based on the oldest established towing business in America. 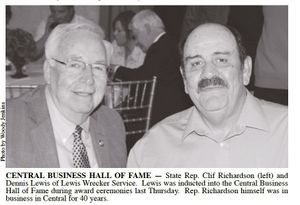 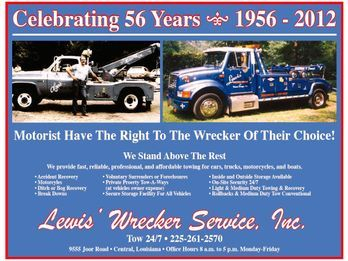 Lewis’ Wrecker Service, Inc was established on June 1, 1956 by Finnon & Ruth Lewis and was located on Airline Highway in Baton Rouge, LA., then moved to Central in 1959. 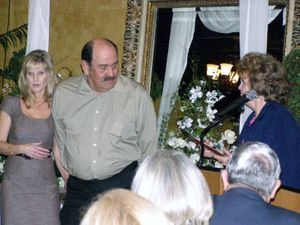 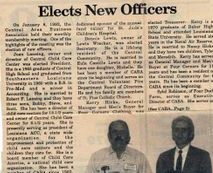 In 1981 their son Dennis M. Lewis and wife Eula took over the business. 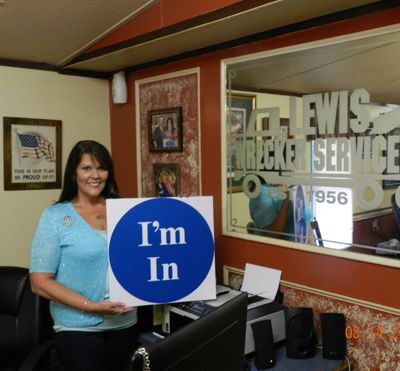 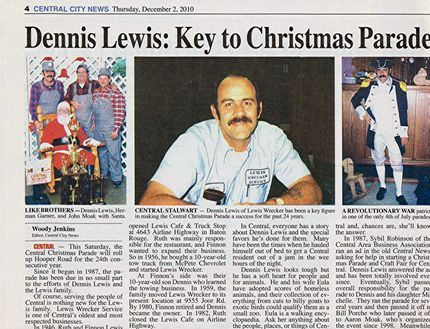 Upon Dennis’ death in January 2013, his daughter E. Michelle Lewis now manages the business for her mother. 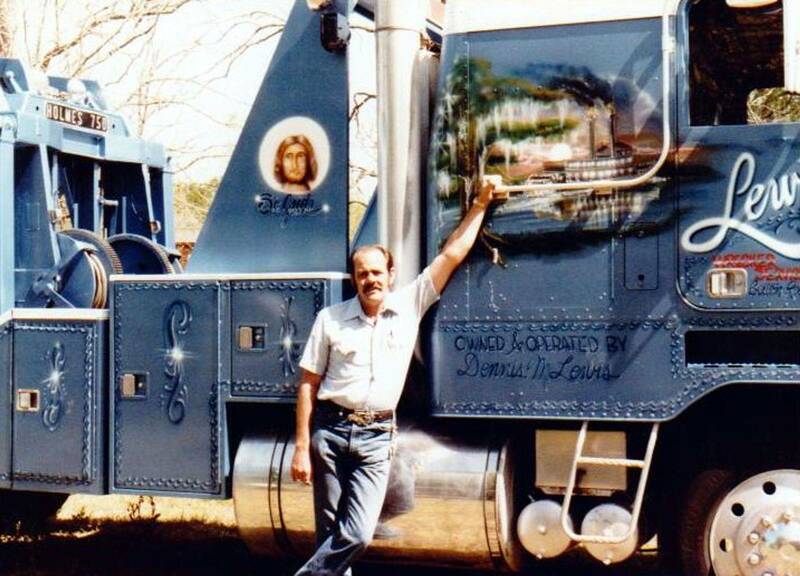 The oldest towing company was established in 1901. 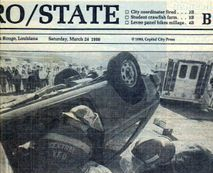 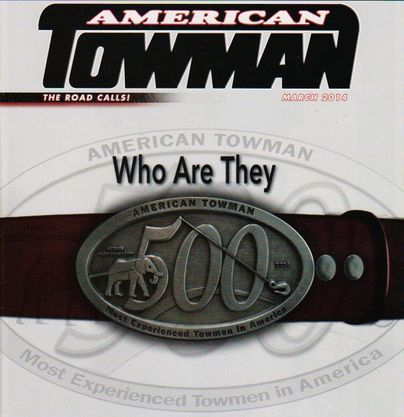 American Towman Magazine, itself, was established in 1977 and is the oldest trade magazine in the towing industry. 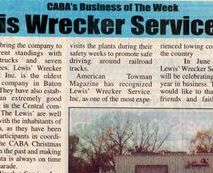 For more information on Lewis’ Wrecker Service, Inc you may contact E. Michelle Lewis at 225-261-2995 or visit their website at www.lewiswreckerserviceinc.com. 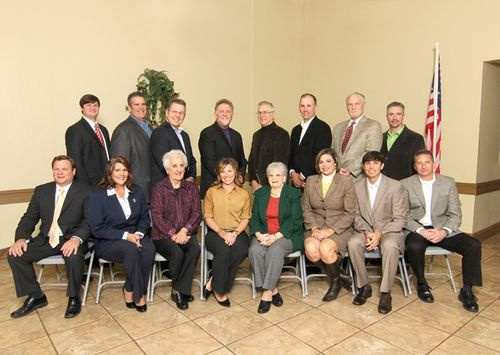 The Central Chamber of Commerce elected their new board members for 2014. 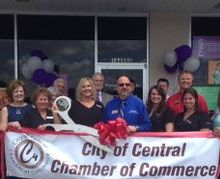 To learn more about the Central Chamber of Commerce, visit www.cityofcentralchamber.com or call the Chamber at 261-5818. 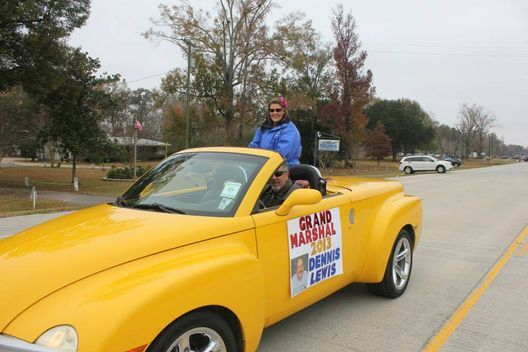 On December 7, 2013, I had the Honor of representing my father, Dennis Lewis in the Christmas parade in Central as he was posthumously named this years Grand Marshal of. 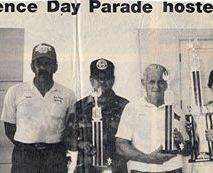 “I remember as a child sitting in the front yard of our home/business on Joor Road watching the cars go by. 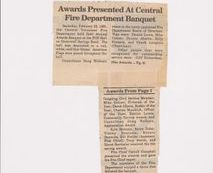 Well, back then they were few and far between. 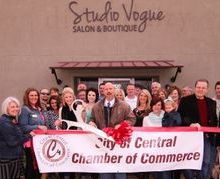 I have watched our little community grow into a thriving city. 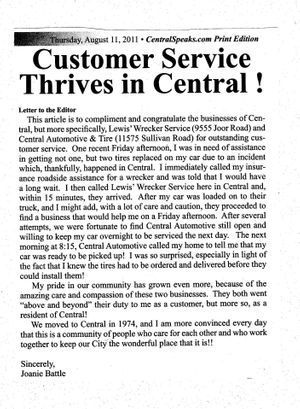 As a lifelong Central resident, I am extremely proud to be a part of this thriving city. 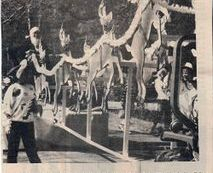 I stood by my father’s side at CABA meetings and worked with my parents organizing the Christmas in Central Parade in its earlier days. 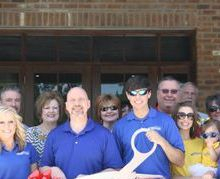 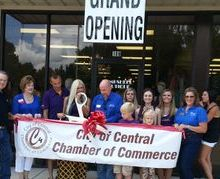 Now a new generation of businesses has moved in to call Central home and CABA is now the Central Chamber of Commerce. 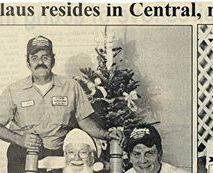 As the manager of our family owned and operated business that has been providing exceptional towing and recovery services to Central and surrounding areas since 1956. 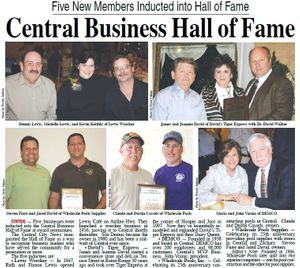 It is with CENTRAL PRIDE I am a member of this fine group of business owners and leaders to make Central the best city in Louisiana”.